verbaut Ihr nur originale Zahnriemen oder welche aus dem Ersatzteilsortiment (z.B. Dayco,..)? Des Weiteren würde mich interessieren wie viele KM/Dauer Ihr mit einem satz ZR gefahren seid? Hatte bisher nur Ducati Zahnriemen auf 4 Ventiler verwendet. Ebenfalls 4 Jahre und < 5000 km gefahren. Jetzt am 2 Ventiler probiere ich DAYCO aus. Habe mich vor dem Kauf im Netz ein wenig eingelesen. Bis auf "ganz wenige Original Fans" nur positives ausfindig gemacht. Da ganz frisch gewechselt kann ich aber nichts zu einer Laufleistung machen. 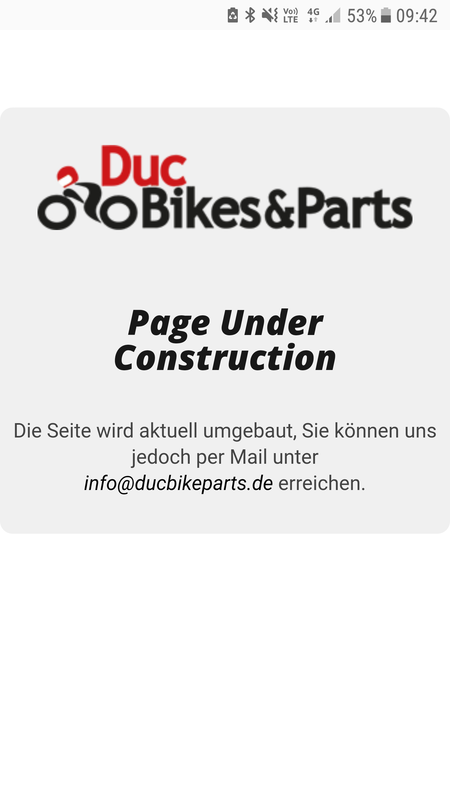 Alles nur Verarsche + Geldmacherei seitens Ducati ... ... meine Meinung ... !!! The question about installing aftermarket camshaft drive belts in a Ducati comes up quite regularly. Ducati belts are made by Gates to Ducati specifications and are unavailable except from Ducati. Further, Ducati specifies belt tension requirements based on using a Gates belt. But, Ducati belts are quite expensive compared to aftermarket belts. There have been a number of changes to the Gates belts over the years because Ducati belt failures have occurred frequently in the past. Accurate belt tension values and replacement at Ducati’s mileage and time intervals are important to avoid premature failure. Unfortunately, belt failures are still with us. I think I’d consider buying aftermarket if GiaCaMoto, Bucci, Dayco or Exactfit offered their own warranty to cover engine damage caused by their belt failure. Testimonials from one or two owners, or anecdotal information from a reseller that they’re identical to the OEM belts isn’t enough for me. If you want to assume the risk on an out-of-warranty bike for the sake of a few euros, be my guest. The financial and failure risks are not trivial. Keep in mind that Ducati engines are interference engines, that is, the valves will come in contact with the pistons if the timing belt fails. So it’s probably wise not to use an aftermarket belt on an engine that’s still under warranty. If one fails, Ducati won’t pay for the repairs. Aftermarket belts, although dimensionally correct, can exhibit differences in internal construction and materials. so there will be some differences exhibited between OEM and aftermarket belts. For example, one aftermarket manufacturer sells a stronger belt that tests show will fail at higher tension force levels than the Gates belt. So is this a better product? when the engine heats-up the hot tension is higher than you get with the Gates belt. Loads on the pulley bearings becomes excessive, noise increases and heat build-up (from flexing a stiffer belt) increases. So a stronger belt could lead to premature failure. Hat einer hier erfahrung damit? Auf allen Ducs beim ZR-wechsel die von Dayco verwendet und 3 Jahre gefahren. Nie irgendwelche Probleme gehabt. Ein Ducatihändler meinte dass die Riemen nach heutigem Standard bis 5 Jahre aushalten. aber es waren sicher nur wenige hundert. Die sahen aus wie neu, waren sie ja auch. Erneuert im April bei 24t km, DAICO verwendet. Die Reifen waren auch unbenutzt, aber ebenfalls aus 2010.